Found this via flickr and it is just gorgeous. Makes me want to try it out. The colors you chose to use are bright and cheery. Looking forward to more of your work. Im sorry but this isn’t “okay” its stunning!!!! 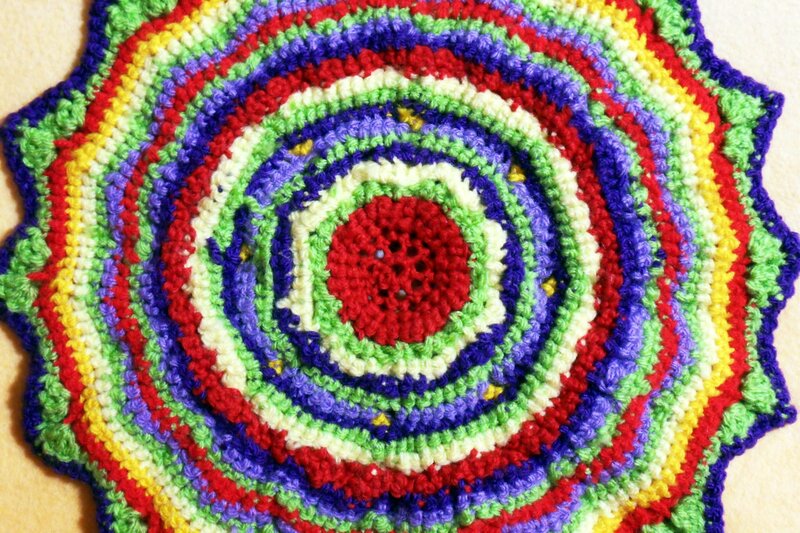 I dont know anything about overlay but crochet, but this really is something special. Well done! you made a great job. 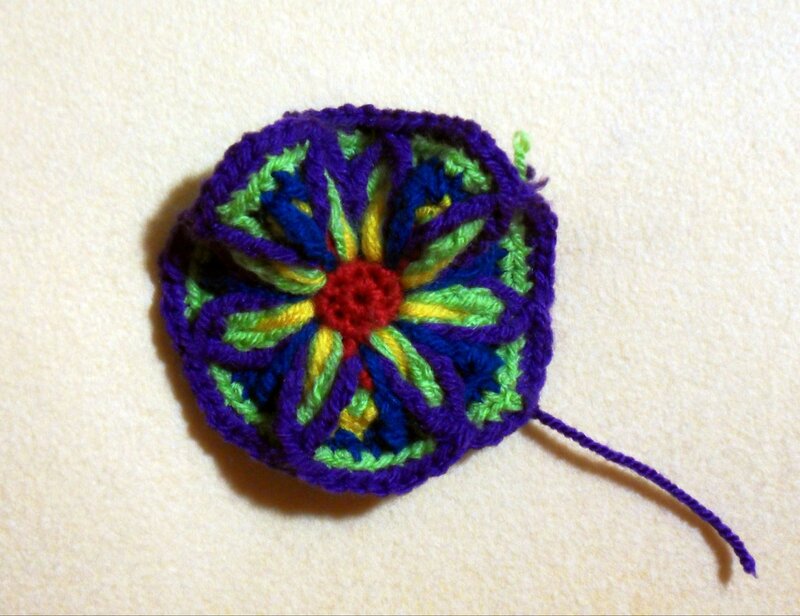 Your Mandala looks gorgeous. Wow! Daniela – that’s amazing! Wonderful! What you call lemons/lemonade is quite beautiful!! Beautiful. You have convinced me that I must buy Crochet Master Class. Yep, this is the year for me to finally try new things, too. My desire to make beautiful things and my brain needs this. 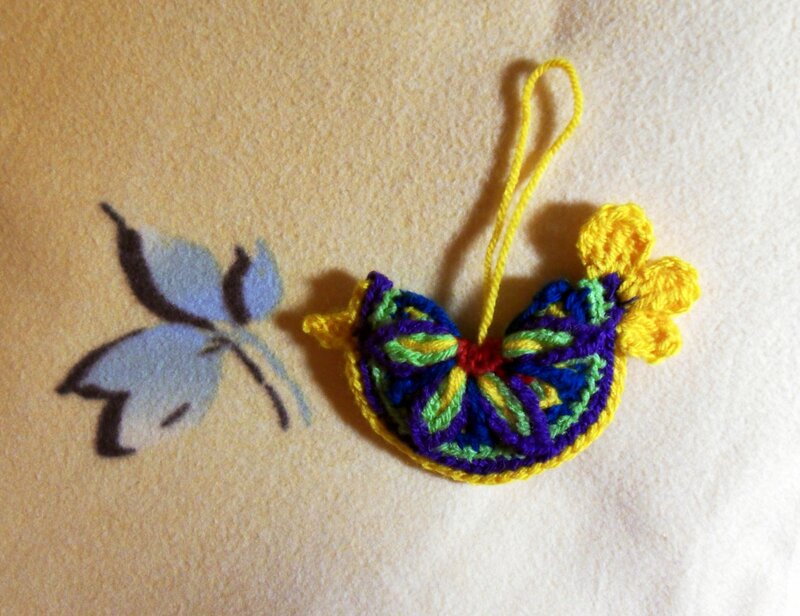 It’s amazing how you can knit and crochet for years and still miss so much neat stuff, isn’t it? Well, I guess that’s also what’s so terrific about these arts — there’s always something new to learn. 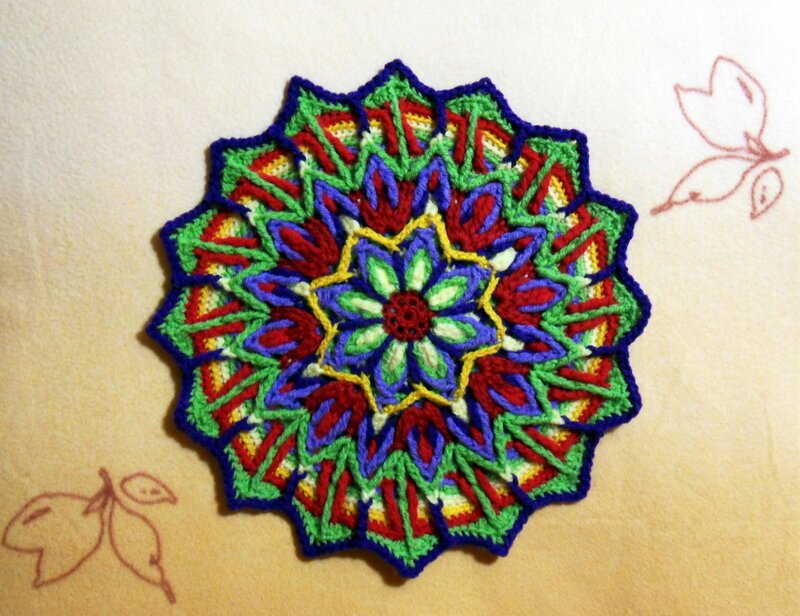 I’ve got lots of overlay crochet patterns favorited in Etsy and Ravelry, so I have to learn. Gorgeous stuff that I have to try. Wow Beautiful work. I’ve never heard of this but would love to try it. Beautiful work. I am not familiar with this concept but would love to try it. It´s really not hard. Her pattern is very well written. You just have to read the whole thing before you start chrocheting, not like me “LOL”. She explains it very well step by step. But typical me: Naaa, reading, for what? Just grab the hook and go…. And the designer is a very nice person, you can always ask her for help. Not perfect??? Honey, you need to give yourself a lot more credit because this is GORGEOUS!! And nothing short of amazing that it was a first try. Major kudos to you! 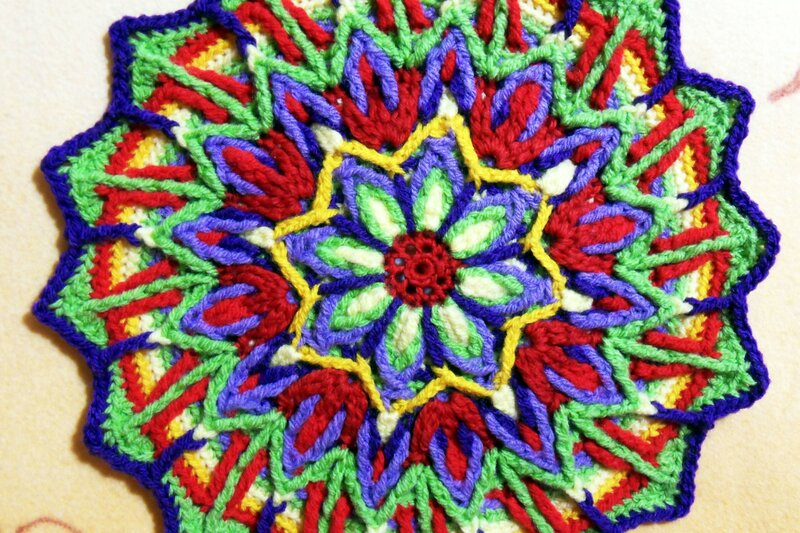 That mandela is absolutely gorgeous and I sure would like some kind of directions to making one or two, your colors are perfection, mine kind of colors!! Beautiful and useful in many areas of the home – excellent gift idea for many different occasions.